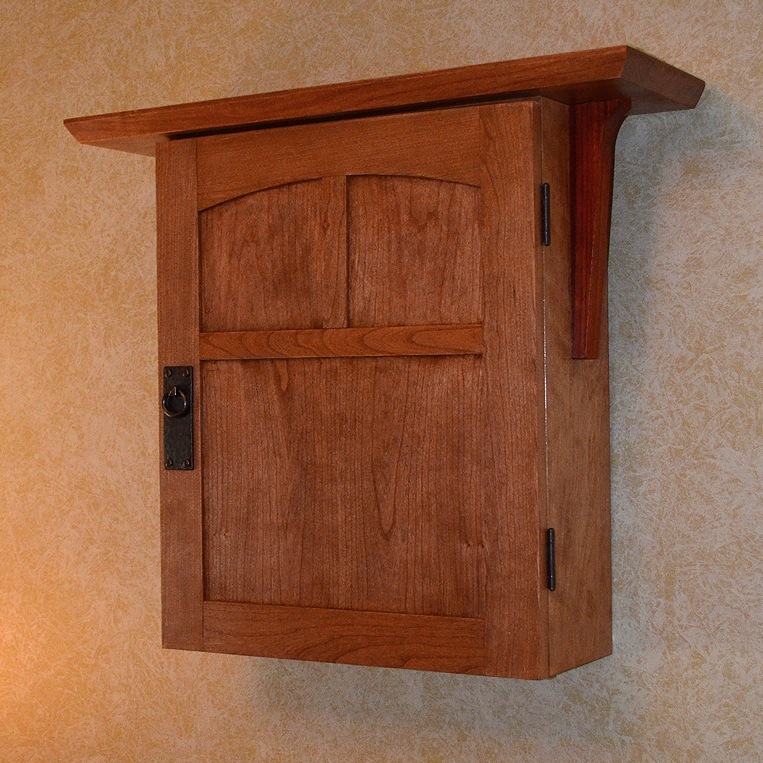 Craftsman (or Mission, Arts and Crafts) style medicine cabinet. 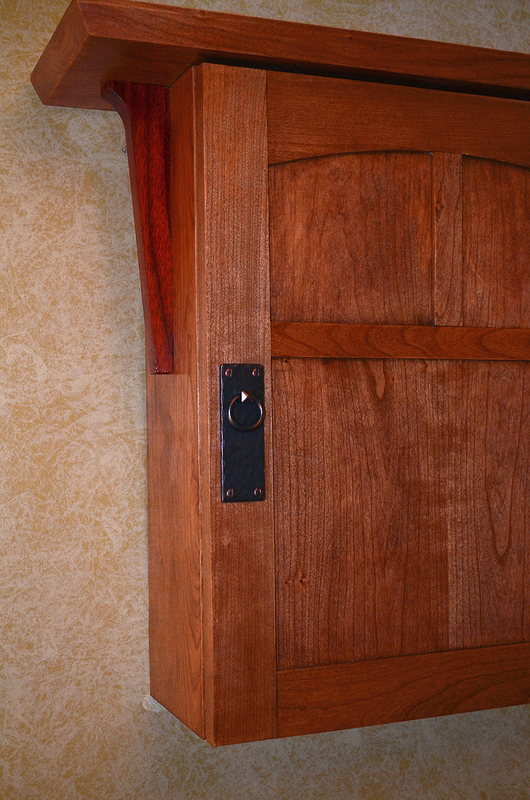 Features a beautiful panel door with arched top. Approximately 20″ high, by 6 inches deep, by 18 inches wide (the top is 2′ wide). 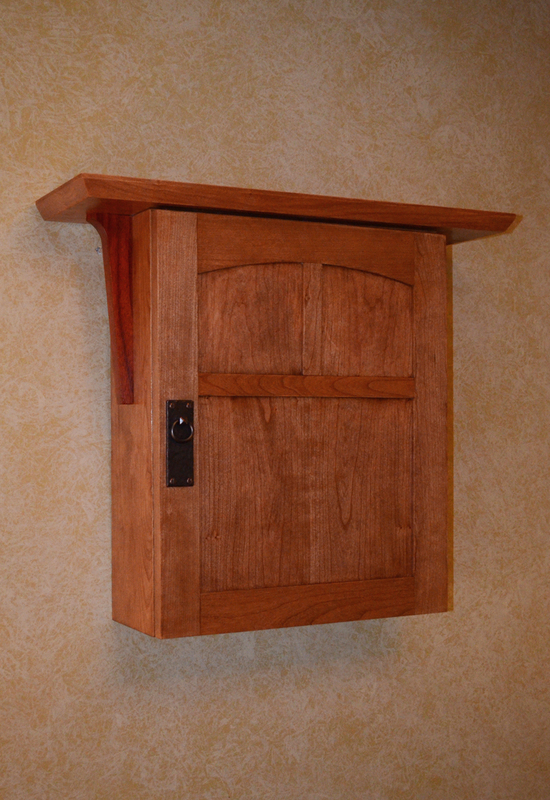 All cherry; the corbels under the top are paduak. Comes with an easy-to-install hanger, which I’ll partially install for you. 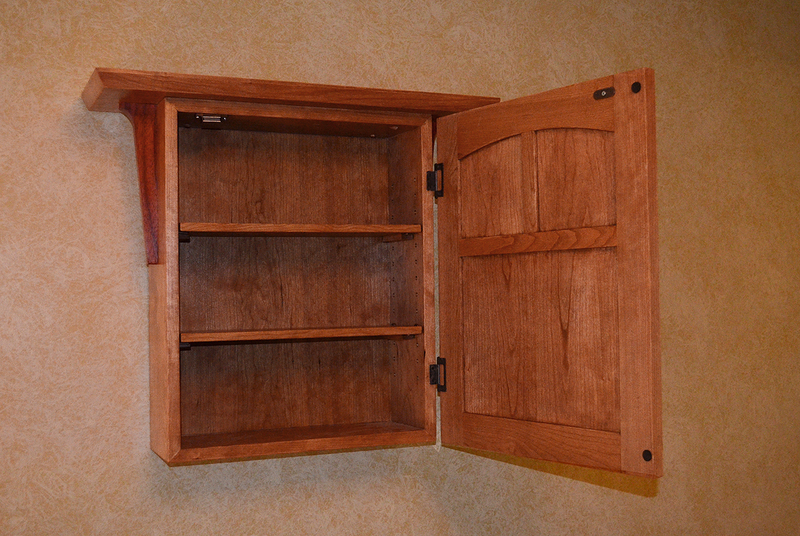 Includes two shelves, and ring pull hardware. Cherry, when it is freshly planed, is a very pale salmon color. After about a year of being exposed to air and sunlight, it will reach a final color, the warm orange-brown cherry we love. So then, I can leave it that normal color, and let it darken down over time, and just apply a top coat of shellac and wax, or, I can stain it for you a LIGHT cherry color, to give it some color. Keep in mind though, with the latter option, the final color will be darker than if you let it color itself over time. Personally, I would let it darken over time by itself for a perfect finish. PLEASE NOTE: In these photos, the stain is more orangey than it really is; in reality, it is the warm brown-orange of traditional cherry.